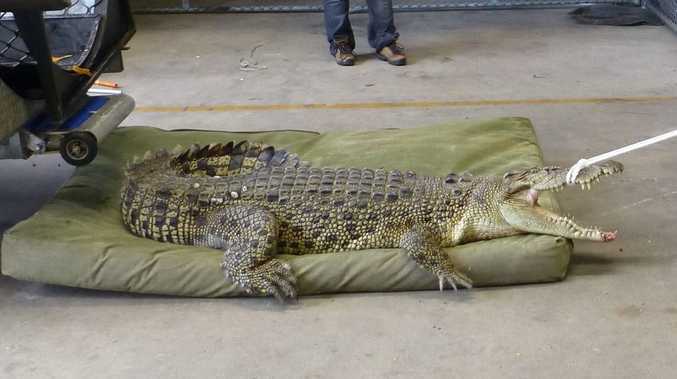 SEEING IS BELIEVING: Truckies reported seeing a croc near the Bruce Hwy during recent floods. THE old saying that behind every good man is a good woman is mentioned often by truckies from around Oz whom Spy meets at roadhouses or rest areas. 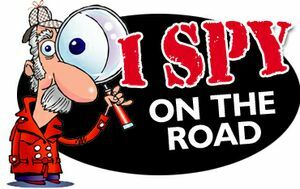 In fact, every second truckie Spy has yarned to in the last year has spoken of his woman, whether it be a wife, girlfriend or partner. Some are housewives who look after the kids and take care of everything at home while their man is driving the highways and byways. In the case of owner/drivers or small fleet operators, some run the administration side of the business at home - and that is no easy task. "My Trouble-and-Strife even had a licence to drive a heavy vehicle and has done the job for me when I have been sick," a Victorian driver told Spy. One such integral part of a small fleet company is even known by the nickname of The Minister for War and Finance. But that is out of respect and thanks to her for all the work she does behind the scenes. Spy has lost count of the hundreds of times when he has heard truckies taking a break talking to the lady of the house by mobile phone. Numerous times Spy has snapped a pic of a truckie far away from home and been asked to email it to the wife. "I will ring her and let her know it is coming," is the case on most occasions. So the pic is emailed and sometimes Spy will get a reply email which goes something like this: "Why have you taken a photo of my hubby - has something happened to him?" Of course hubby has just forgotten to let his beloved know. This is a tribute to all those tens of thousands of women who are often not recognized for their contributions to the road transport industry. DURING the recent Queensland floods many truckies were stuck beside the Bruce Hwy at Cattle Creek, south of Ingham. One told Spy that he spotted a saltwater crocodile, which looked about 3m long, not far from the road. Big enough to make a meal of some poor person or at least give them nasty injuries. Spy was a bit sceptical, however on watching the television local news saw a policeman telling viewers all about the crocodile. WHEN Spy came across a truckie driving a Kenworth at a remote location he was intrigued to see the rig was dubbed "8 Is Enough". Being a curious type old Spy just had to ask the driver what the reason was. "I have no idea as it was on it when I started driving it," he said. So Spy tracked down the email address of the company which owns it and can now provide the answer. "We named the Kenworth '8 is enough' because this truck is our 8th truck," a company worker said. Apparently the wife of the boss told the husband he could "have eight trucks but that's it". However hubby is now on the lookout for another truck, which he intends calling "8 mile". IN A country Western Australian town several truckies had rented a house across the road from a colleague who has a reputation for being "popular with the women." This self-confessed Romeo used to boast to the lads of his many conquests and suggested they check out the number of ladies who he wines and dines at his home. One problem though was a huge tree with many branches which obscured their view as they sat under their residence on days off. All requests to have the tree lopped fell on deaf ears. But then Mother Nature entered the equation and several branches fell off the tree. It was discovered the tree was diseased and had to be cut down and removed. Since then the lads have a free view of Romeo and his many Juliets who visit. MYSTERY surrounds the circumstances over the eviction of a South Australian driver who had a room in a four-bedroom house rented by a group of truckies. They all seemed to be getting on fabulously well until an almighty argument one night. Our truckie informant told Spy that the number of expletives used provided entertainment for some, while others nearby reached for the ear muffs. The aftermath was that one of the four truckies had his furniture, including bed, television and other items, placed on the footpath. It stayed there for a few days before being picked up. UP Collinsville way in far north Queensland locals celebrated Australia Day weekend with various events and Spy is told the truck pull for men and women proved a real highlight. Good competition was the order of the day, with five men's and four women's teams battling it out. The ladies team of Roxanne Hooper, Renae Batchelor, Maureen Russell, Dee Beckman, Jo Halcombe and Kirilly Dalton recorded the fastest time of just under 20 seconds. The men's victorious team consisted of Steve Goodie, Adam Lewis, Wade Heeb, Daniel Wooley, Geoff Grace and Shane Pountney with a time of 19.22 seconds. Well done to all and spectators just loved it. ONE Victorian truckie has a bad habit of losing his wallet which has caused him enormous problems. On a few days off the gent enjoyed a few beers with mates at a local pub where they all had a modest flutter on the Tote. Midway through the night two of the three went to the toilet and when he came back couldn't find his wallet. A search failed to locate it so he caught a taxi home and phoned banks to cancel his Visa card. The next day he found the wallet which he had placed in a mate's bag and forgotten about it under the influence of a few too many amber fluids. It took almost a week for the lad to receive a new card in the mail. Since then he has misplaced his wallet twice and found it both times hours later. THERE is a Victorian truckie who enjoys feeding birds and has earned the title with mate of the "duck whisperer''. A colleague told Spy that he feeds ducks at several places in Victoria with old bread. When he is in Tasmania the driver stops off at a park near the Esk River to feed the friendly ducks. When he stays at a Hobart motel near the Derwent River tosses bread to the birds.